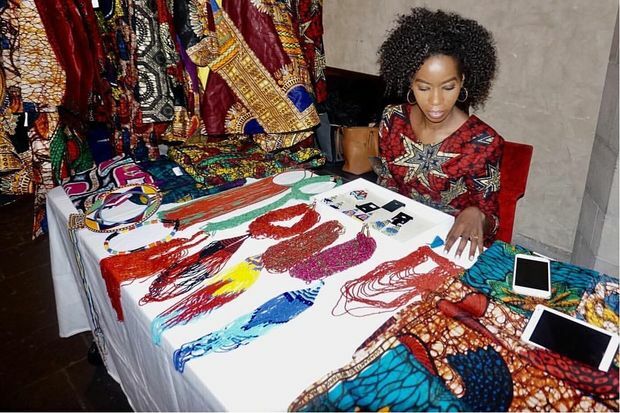 A table of products from ILAVA: It Can Be Done's fashion line, made by artists in Kenya and Tanzania. EDGEWATER — When Rahel Mwitula Williams was growing up in Tanzania, her maternal grandmother gave her a nickname: Ilava. It means, "it can be done." As a girl, she was told she could never make a career of the arts, but she also knew a traditional job would never suit her either. So she focused on her mantra: it can be done. Williams, who now lives in Hyde Park, runs her own fashion enterprise with her sister that provides jobs for women in Kenya and Tanzania, as well as overseeing social missions that are funded through the sale of her clothes. Currently, her company ILAVA: It Can Be Done raises money to provide school uniforms for children in East Africa and give bikes to female students who live in rural areas and must travel long distances to go to school. The core purpose of her line is to support those fighting poverty, promote community development and sustainability, and empower women around the world. "I always knew that whatever I was going to do was going to be something pertaining to being back home," Williams said. "One of the things I realized when I was in Kenya was the power of women, their skill and how talented they were." The ILAVA line was showcased last week at the Pan African Association's 2nd Annual Fashion Without Borders gala, which highlighted four designers from around the world and used clients of the African organization to model the clothes. On May 29, she has another event in Hyde Park that will display several of her garments and jewelry as well as raising money for bikes. Having no formal fashion or design education, nor sewing skills, launching the line was an achievement Williams and her sister, who helps run the business and is a makeup artist, never thought they'd see. "But we have vision," Williams said. ILAVA's story began when Williams and her family moved to Chicago at the age of 12 so her dad could attend school. While earning her graduate degree in international studies at DePaul University in 2009, Williams had the opportunity to visit Kenya, only about a day's drive from her former home in Tanzania. As she explored Kenya, Williams encountered The Kibera Paper Project, a co-operative that makes greeting cards from recycled materials. When her trip was over, she felt intensely inspired, but was unsure where to focus her energy. The next year, she began volunteering for the organization by helping to sell the cards in the United States. But she kept coming back to one concept: sustainability. 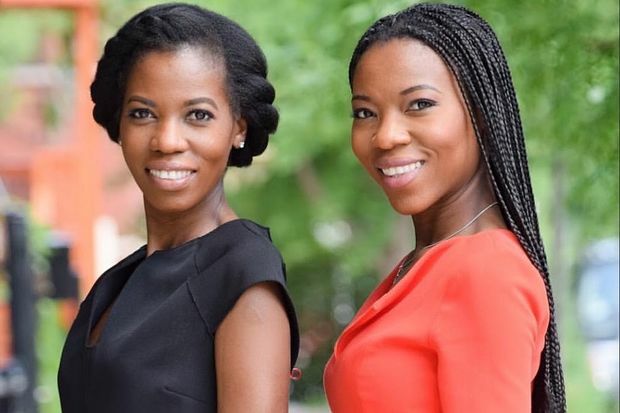 That's when she and her sister hatched a long-term plan to help empower women and give back to their beloved African countries, while expressing themselves creatively through their love of fashion. Largely inspired by both her grandmas, Williams said ILAVA is meant to reflect the beauty, culture and traditions of Tanzania and Kenya. The garments are all handmade by over a dozen women who live there. The sisters' goal is to bring African garb into the mainstream in the U.S. for women to wear at home, out with friends and in the board room. "We want to introduce African-inspired [fashion] as a product that every woman should have in her closet," Williams said. "Our goal and our dream is one day when you think of that print outfit, you think of ILAVA. You think of us. This is who we are, it's part of our culture, we don't take it off when it's not the trendy season." "We have a responsibility to showcase our heritage, our culture, in a very mainstream way." The sisters haven't turned a profit in the four years since ILAVA's launch, but the women they employ have been able to pay for their children's school tuition and fix leaky roofs thanks to their jobs with the brand. Most importantly, school girls have received plenty of uniforms and bicycles. "We did not enter this because we want to be rich, we wanted to be able to provide a tool," Williams said. "We have an opportunity to do something that is beyond ourselves." It may not be a "Wall Street success" quite yet, she said, but "right now we are moving in the right direction." "We are making a small impact in the lives of so many people [whose strugles] normally you would not know about." One day, she hopes to grow the business enough to build an worker-owned manufacturing facility in Tanzania or Kenya that can employ local women full-time. Until then, she's going to keep at it, she said, and has already been invited to take part in a major fashion show this fall. Williams wants other women to know they can achieve their dreams, too. "You know, your dreams are not that far-fetched," she said. "We just want to motivate and encourage young girls that they, too, can have a dream and they can live their dreams. It doesn't have to be something you've never thought about."